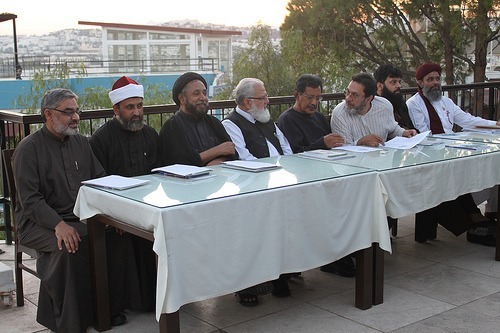 Meeting in the Turkish seaside resort of Bodrum, the scholars, who represent all of Pakistan’s major Islamic sects and tendencies, agreed to come together to tackle religious intolerance in the interests of Muslim unity. Brought together by the UJN, the signatories included Sahibzada Muhammad Hamid Raza of the Sunni Ittehad Council, Sahibzada Muhammad Hamid Raza of Jamiat Ahle Hadith, and Allama Syed Niaz Hussain Shah of Hoza Ilmia Jamia Al Muntazar. The 11-point UJN Pakistan Unity Declaration commits the signatories and the UJN to sign statements in the upcoming Islamic month of Muharram denouncing the killing of fellow human beings on the basis of color, creed, ethnicity or religion as haram (sinful). The statements will also declare excommunication or takfir against fellow Muslims and abusing the Prophet Muhammad’s family and companions to be against the Shariah. The accord is based on Charter 3:103, initiated by the Islamic Human Rights Commission in 1997 and since adopted by scores of Muslim organizations, which calls for Muslims to be united in accordance with the 103rd verse of the third chapter of the Holy Quran.